Located in the Caiatini Mountains of Campania, the beautiful property of Fattoria Alois is literally situated between 3 volcanoes. With Roccamorfina to the North, Monte Nuovo to the west and the infamous Monte Vesuvio just south east, the town of Caserta sits amongst multiple extinct and active volcanoes. It is here that for centuries the Alois family has been associated with the fine textile industry, their famous silks adorning the walls of the Louvre and the White House. 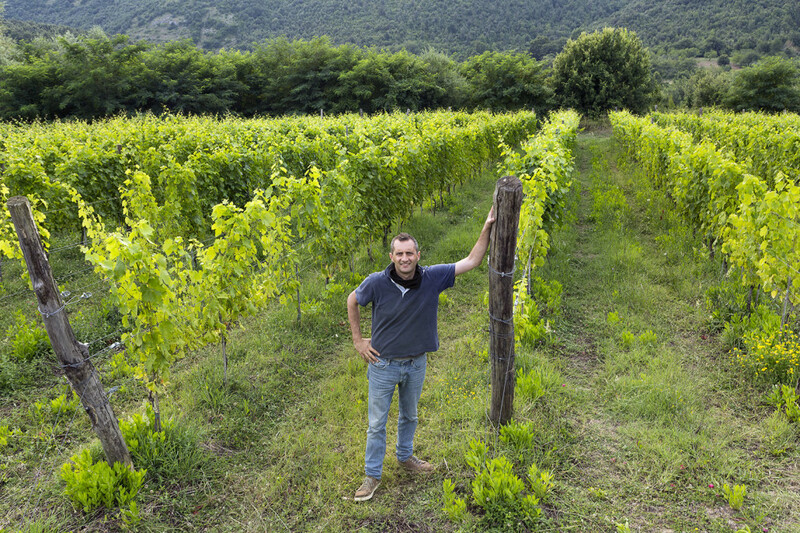 But more recently Michele Alois and his son Massimo have been taking advantage of their location and the volcanic soils that surround them by applying their talent and passion for quality products into Vini Alois. But it is not just the soils that make these wines special. Because while Campania is known for its expressive whites like Falanghina, Fiano and Greco and the dark, earthy Aglianico, the Alois wines are focused around some rediscoverd ancient varieties. Twenty years ago the Italian government launched a project that was devoted to finding grape varieties that survived phylloxera, but were no longer being cultivated. Massimo has been a champion for those forgotten indigenous grapes and with his efforts Casavecchia, Pallagrello Bianco and Pallagrello Nero are making a comeback. See the video above as Massimo discusses the origins of the Casavecchia grape. Thanks to our friend Matt Lirette of Lirette Selections, Kerry and I had the good fortune of staying with Massimo and his family at their estate in Caserta a few summers ago. He spent the day with us, taking us to their different vineyard sites and cooked a fabulous dinner that we shared with his wife and children, of course accompanied by his amazing wines and great conversation. The next morning we met his father Michele and oenologist Carmine Valentino in the winery for a tank tasting. One of the things that struck us about these somewhat famous, southern Italian male winemakers was their genuine interest in what we thought about their wines. Their humility, pride, respect for our opinions and the amount of time we spent together has left a long lasting impression about the people behind these very distinct and fascinating wines.